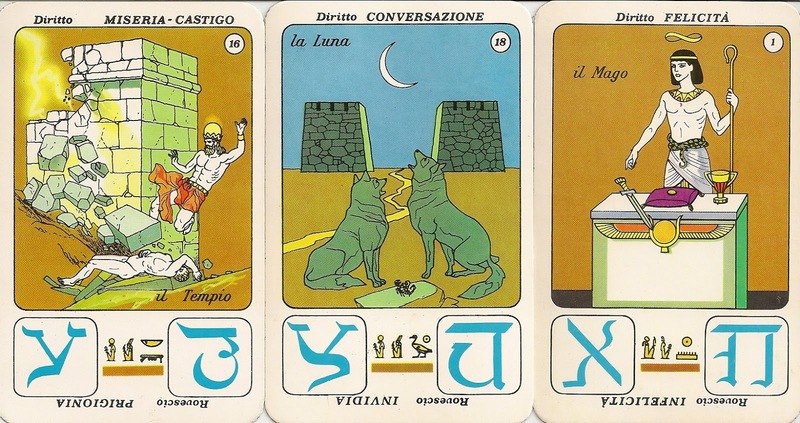 Promotional set of Egyptian-themed tarot cards, as an advertisement for the Italian aperitif Aperol. Aperol originated in 1919 in Padova, it was a product of the Barbieri Brothers who launched the revolutionary idea of an aperitif with an alcohol content of only 11 percent. 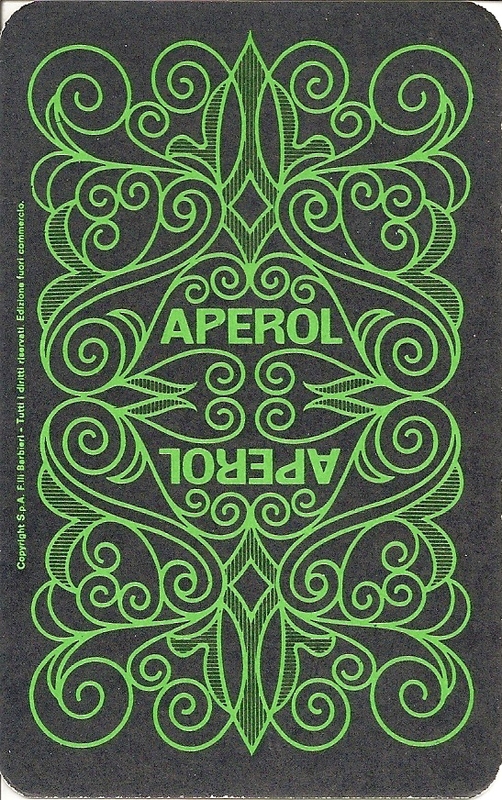 Purchased in the ‘90s by Barbero 1891, Aperol then entered Gruppo Campari's portfolio. 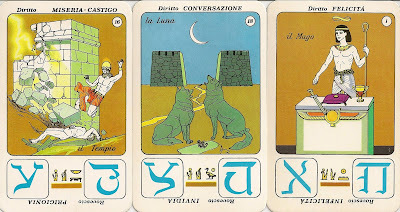 The deck contains the full set of 22 traditional major arcana cards, but the minor arcana cards have been abridged to include only the 7 - 9, Queen, King, and Ace for each suit.